When our clients look at their backyard, they might not see all the possibilities or unforeseen problems. 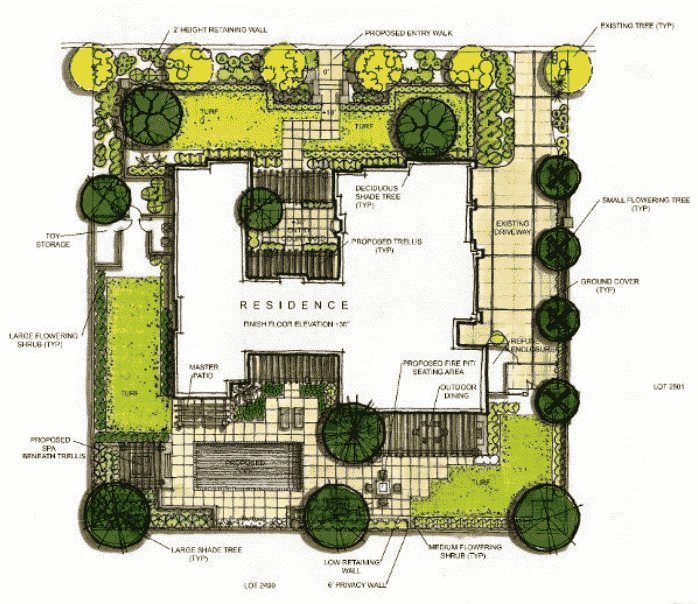 Part of our job is to help them realize the true potential of their landscape and how best utilize their space. We’re meticulous in our process of consultation, design, measurement, proposal, and approval so our clients have a clear vision of the scope of their project and the final product well before the first shovel hits the dirt. Great communication is one of the benefits of working with us! For example, if our client wants to do less mowing in favor of an outdoor living area, we learn this upfront so we can accommodate a landscape that requires less mowing, for example. We could install a paver patio, add an outdoor kitchen, a shaded area, and so much more. A pool would give the family another way to hang out together, but it does require a different kind of maintenance. We offer a free design to help make the vision a reality and develop a timeline to completion. A more detailed timeline of our design process can be view on our website by clicking here. Otherwise, we encourage those interested to call us soon to schedule an initial consultation. Our schedule for 2019 has already started to fill up. Should You Install a Paver Patio or Stamped Concrete Patio?